SO WHAT DO YOU WANT FROM YOUR LAWYER? 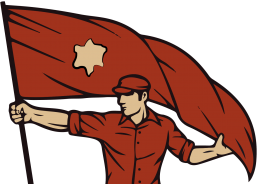 Big office, legions of support staff, hourly rates?Sorry, we can’t help with any of that. We created *particular to start a revolution in the way legal services are delivered to business. Charisma, integrity, candour and fearlessness.To demonstrate this we created a list of practical commitments. 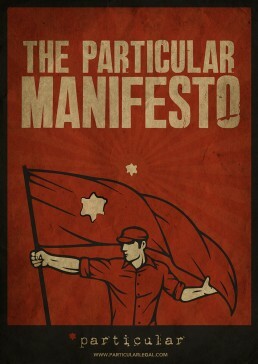 After all, every revolution needs a manifesto. This is our Manifesto. Download it. If you want plain-speaking and clear-thinking legal expertise, if you want to get started, if you want advisers who are passionate about what they do… No clutter, no trinkets, no fuss, just straightforward business sense. This is how we do things. Stick around because we’re going to change the way you think about lawyers.